Anyways, here are all the goodies that came in this box. Michelle: Can we take a minute and admire the gorgeous bottle please. It's just so pretty and I know I will keep it forever. I absolutely fell in love with it the moment I opened the box and saw it. Anyone who follows Viktor & Rolf's fashion designs knows the bow is their iconic symbol that embodies the brand's high fashion spirit. So, I found this detailed design a great way to showcase the hard work and dedication they have towards their crafts, whether it be fashion or beauty. BONBON is a pure and pleasurable scent. Its top notes are tangerine, blackcurrant, and orange. Its middle notes are orange blossom, jasmine, and peach. Finally, its base notes are guaiac wood, cedar wood, and caramel. Together, they create a delectable scent that reminds one of a yummy dessert with caramelized fruits, sweet edible flowers, and a sweet woody cream to top it off. It is truly a delightful and indulgent experience. Helen: I am all up for these all-in-one jumbo eye shadow pencils because they are easy to use and it saves a lot of room when traveling. 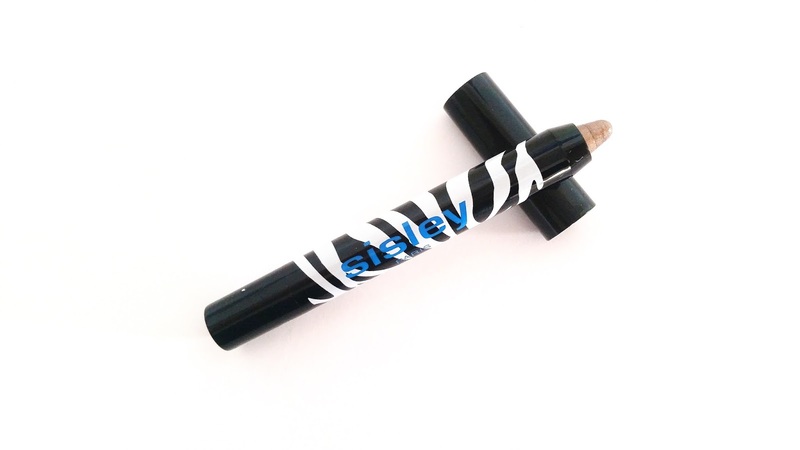 This one from Sisley comes in a variety of shades, I received Topaz which is a good neutral brown shade. It looks gorgeous on the lid and it glides on smoothly. The product is enriched with green tea, white lily, and camellia to protect the delicate eyelid areas. Its formula is waterproof, however, I found it can smudge a little (especially if you have oily lids) so powder and prime when needed. So far, I like to use it as a light base on my lids by sheering it out a bit after application. I also use the product as an eyeliner, but I am not sure how well it will sharpen once the tip wears down. Guess I will find out when I get to that point. Have you guys tried this one from Sisley? Helen: Mon Guerlain is the brand's new fragrance. The perfume is inspired by Angelina Jolie and it is a tribute to strong, free, and sensual femininity. The fragrance comes in their iconic quadrilobe bottle with a chic twist. The original design was created in 1908. It is simple yet graphic and draws its look from that of an alchemist's bottle. Its unique name comes from its stopper, which is created from one piece to resemble four lobes. The new bottle has added gold adornment and it is enhanced with luxurious glass to give the perfume a more lux look and feel. The fragrance itself has a fresh oriental scent. 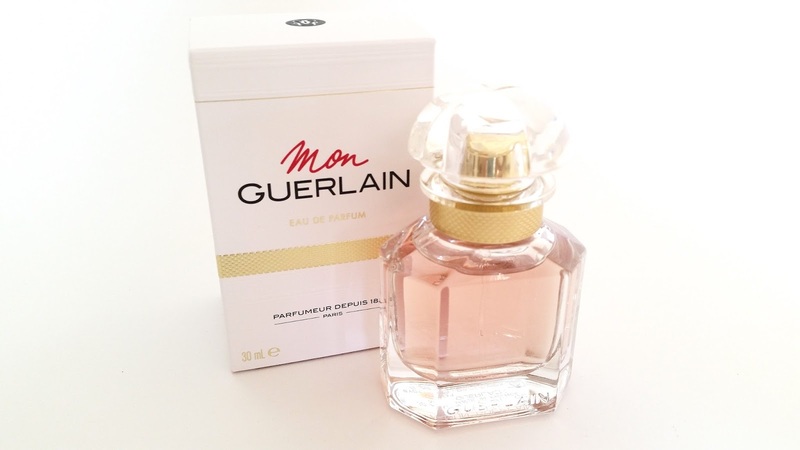 Its top notes are bergamot and carla lavender. Middle notes are paradisone, sambac jasmine, and coumarin. Finally, its base notes are iris, vanilla tahitensis, and album sandalwood. Michelle: I haven't gotten around to test either of these masks but I am planning on testing them after our trip. 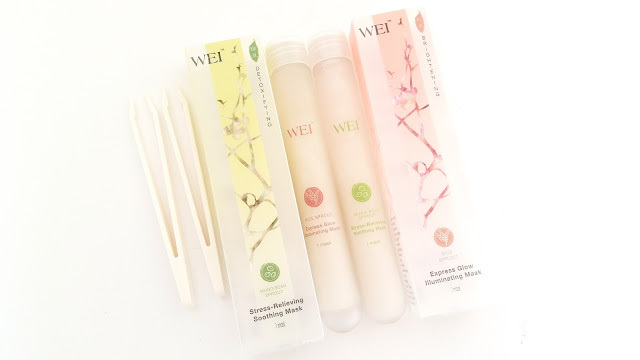 Although I have heard a good amount about Wei, I've yet to try any of their products, so this will be a new experience and I'm excited for it. The Mung Bean Sprout Mask is a soothing mask meant to purify, cool, and calm the skin. Mung Bean has detoxifying abilities to clear pollutants and impurities from the pores while restoring the skin's natural glow. It can also help balance the skins water to sebum ratio as well. The Rice Sprout Mask is a brightening and restorative mask. Rice water is known to be used by generations of Asian women as a way to cleanse and perfect the skin. The mask is rich in nutrients and works to visibly reduce the appearance of dark spots and leaves the skin bright and glowy. Helen: This is the tool I am excited to test once we return from our trip. The PMD is quite a popular tool and it is known to provide the same result as one would receive from a professional in-office microdermabrasion treatment. It uses the patented spinning disc technology and their perfectly calibrated vacuum suction to remove dead and dull skin, increase blood flow, and stimulate the natural production of collagen and elastin. Michelle: I've been loving cleansing waters since I discovered them. 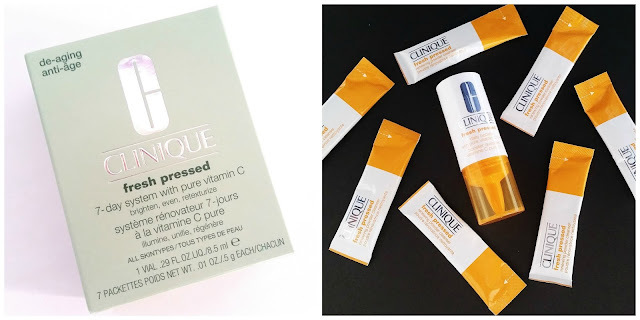 They are the quickest ways to remove makeup and on days when I wear a lot of makeup, I like to use them before oil cleanser and foam cleanser to ensure I really remove everything. It's pretty much like a triple cleanse. 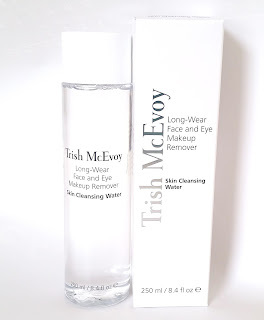 I've only tried Trish McEvoy's Cleansing Water 3 times so far, so I can't say my final thoughts on it. However, it does seem to remove a good amount of makeup and it feels gentle on my skin, so that's good. 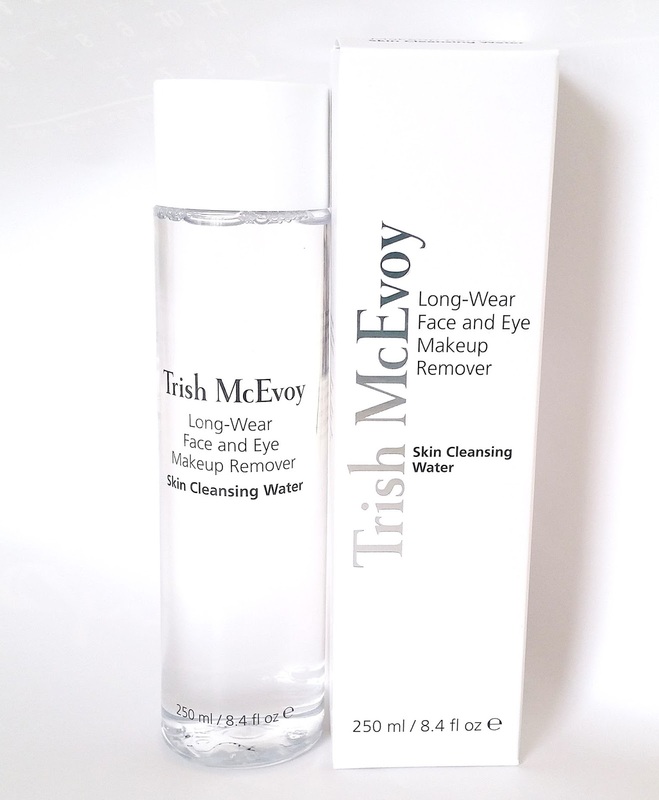 The cleansing water is like many with a water-light, skin-conditioning formula that will leave the skin fairly clean. Although it advertises as a one-step cleanser, I find it's still best to at least use a foam cleanser afterwards to fully cleanse the skin and ensure all impurities are remove from the skin before continuing on with any skin care products. Helen: Here is another product I am excited to try when I return. This is Clinique's unique 7-day system that includes their Renewing Powder Cleanser with Pure Vitamin C and their 7-day Daily Booster with 10% Pure Vitamin C. This two-step system works to brighten the skin and provide anti-aging care at the same time. It will leave the skin feeling firmer and looking even more toned than before. Plus, the two-step can help to smooth out fine lines and bring back the skin's natural glow. Helen: Kiehl's is known for their skin care and hair care products, so it is great to see a few of them in this box. This Nourishing Shampoo + Conditioner is a 2-in-1 formula that can gently remove buildup and hydrate the scalp at the same time. 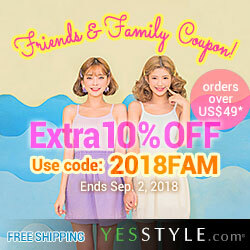 It will leave the hair thoroughly cleansed with a soft, touchable feel and a full, healthy look. 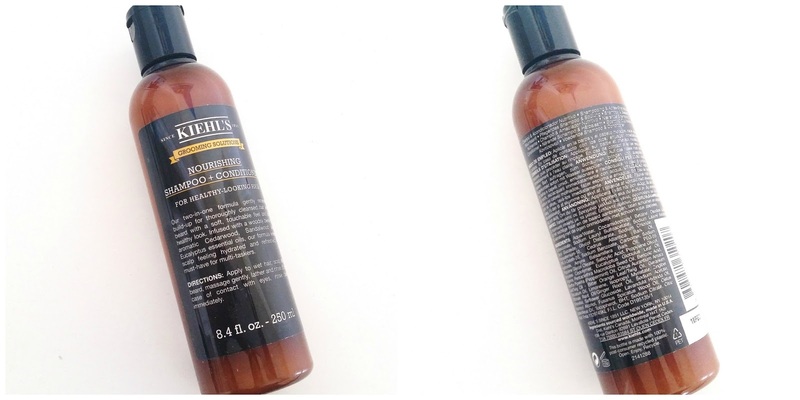 This 2-in-1 Nourishing Shampoo + Conditioner is formulated with caring ingredients that includes an aromatic blend of cedarwood, sandalwood, and eucalyptus essential oils. It will not only leave the scalp feeling refreshed but also provide a calming scent as well. 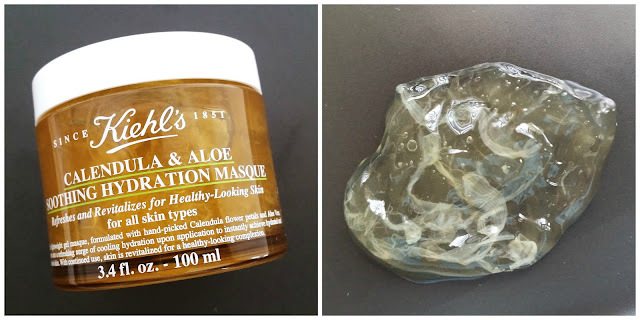 Michelle: This hydration wash-off mask from Kiehl's had me super excited upon first glance. Although I haven't had the opportunity to try it yet, I did take a close up look of it and as you can see, it's got calendula flower petals inside! It looks so cool. This mask claims to provide an instant cooling sensation upon application and leaves the skin feeling calm yet refreshed. Its star ingredients are, of course, calendula flower and aloe. Both ingredients work together to soothe the skin and reduce signs of skin distress such as dry skin or unbalanced skin. The mask promises to leave the skin hydrated and refreshed with a healthy looking complexion to boot. Making this the perfect pick me up mask. I can't wait to test it. 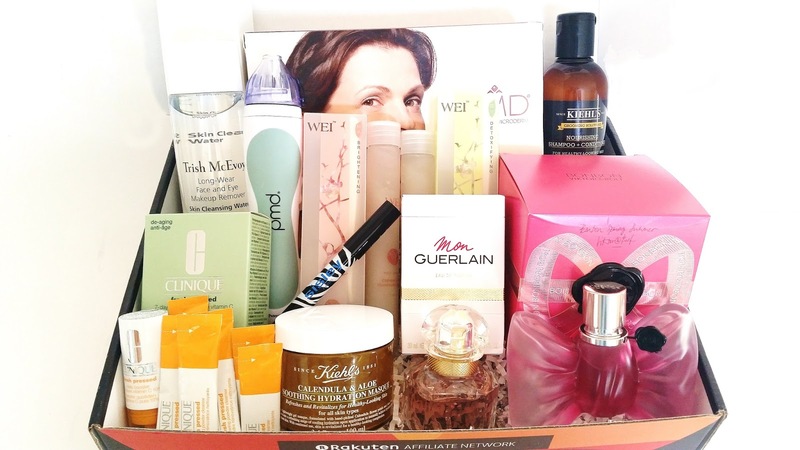 Final Thoughts: Wow, that's an amazing box filled with a variety of goodies. There's not a single product in there that we aren't excited for. Kudos to RAN and Bloomingdale's for creating such a wonderful box. 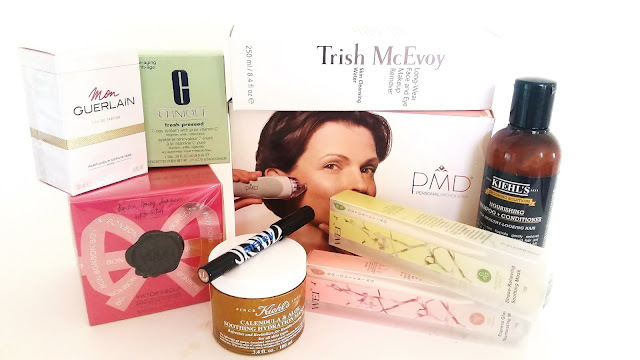 It could even be a great holiday beauty box. We'd buy it. Anyways, we can't wait to test all the goodies and share our detailed review of them with you guys. If there's a product you'd like us to review first, please let us know in the comments below and we'll get to it asap.